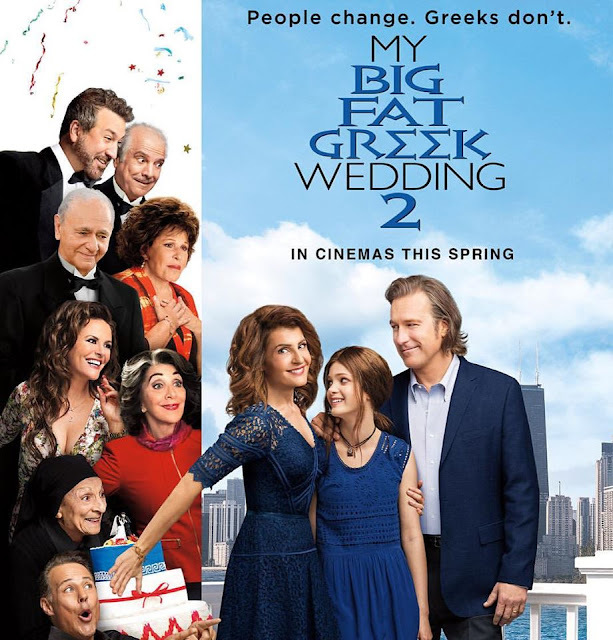 14 years has passed since the huge success of the romantic comedy My Big Fat Greek Wedding and finally a new sequel will be out this Thursday with the whole cast returning but with an additional member in the family, Paris, the 17 year old daughter of Toula (Nia Vardalos) and Ian (John Corbett). The upcoming film will carry a lot of surprises, secrets, marital problems from the Portokalos family and of course a Massive Loud Greek Wedding. There was a unique chemistry between the cast of this movie that made the acting very light, convincing and humorous. We left the theater with laughter filling our heart and ears as the audience were all laughing hard at many circumstances. We loved and enjoyed every single moment of My Big Fat Greek Wedding 2 just like we did in its predecessor and in case you did not watch the first part don't worry because you will directly fit in with this Greek family.